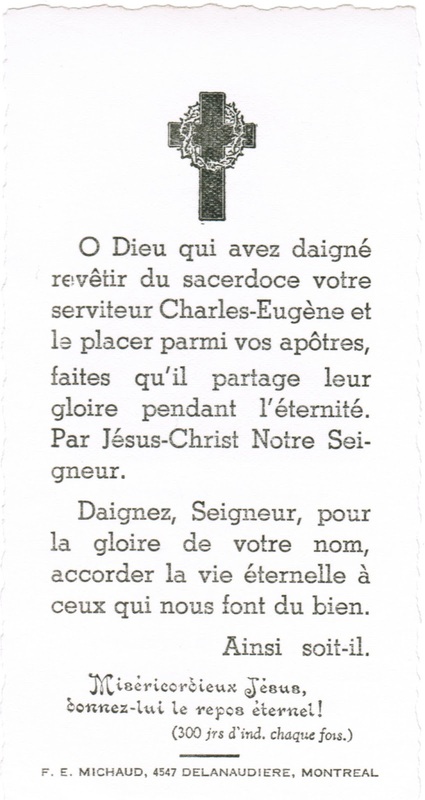 This funeral card was printed to the “pious memory” of Reverend Charles-Eugène Thériault. It measures about 10.5 cm x 5.5 cm (4 ¼” x 2 ¼”). My Aunt Joan (Dad’s sister) gave the card to me when I visited her home in May 2014. 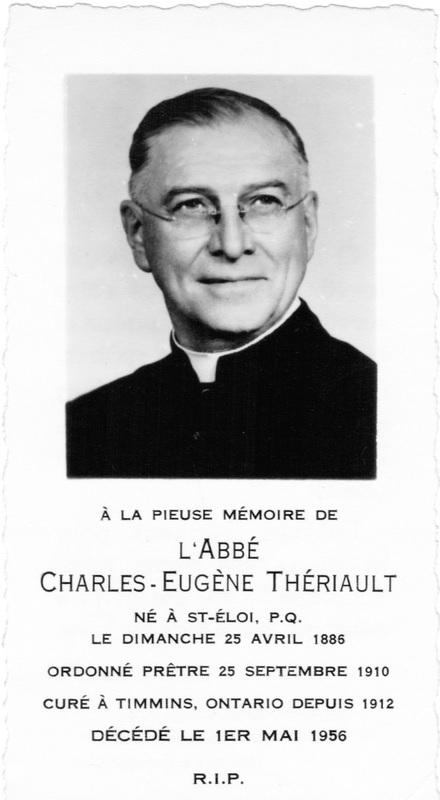 Suffering from a kidney ailment in the mid-1950s, Father Thériault sought treatment at a Montreal hospital. 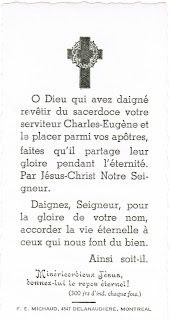 Sadly, he died there on 1 May 1956. Sixty years have passed since Father Thériault’s death. One place in particular keeps his memory alive in Timmins – my high school. Opened in 1972, the new building was named Ecole Secondaire Thériault (later, Ecole Secondaire Catholique Thériault) in his honour.